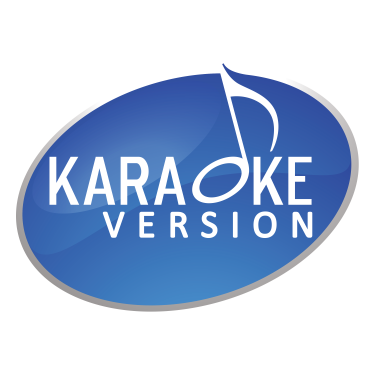 This is an agreement between you and "Recisio" stating, on December 27, 2014, the terms that govern your use of the website www.karaoke-version.co.uk and associated services, hereafter the “Website”, which proposes on a purely principal basis a permanent download service for backingtracks files intended for karaoke. This agreement – together with all updates, additional terms, software, licenses, and all of Recisio rules and policies - collectively constitute the 'agreement' between you and Recisio. By accessing this Website and/or purchasing products from Recisio, you agree without exception to all terms and conditions listed herein. If you do not agree with any of these terms of service, please do not use the Website or purchase our products. Please review this agreement periodically as we may, at any time, modify these terms of service. However, the applicable conditions will remain those in force on the Website at the date of the customer's ordering. Upon modification, your continued use of this Website signifies your acceptance of any and all changes. The use of the Website does not grant you any other right than those envisaged by the present ones. All content of the Website is subject to the appropriate copyright, trademark or other intellectual property laws. You may use the content only for your personal use. You must keep intact all copyright, trademark or other proprietary notices or marks. You may not copy or reproduce any content obtained from this Website or copy or reproduce any backing tracks purchased from the Website except for your own personal use. YOU AGREE NOT TO ALTER, MODIFY, PUBLISH, DISTRIBUTE, SELL, BROADCAST, TRANSMIT, CREATE DERIVATIVE WORKS FROM, OR EDIT ANY CONTENT OF THIS WEBSITE OR BACKING TRACKS PURCHASED FROM www.karaoke-version.co.uk WITHOUT THE EXPRESSED WRITTEN PERMISSION OF Recisio AND/OR ANY APPROPRIATE THIRD PARTIES. Any copyright infringement will result in termination of service and possible legal action. In the course of its activity, Recisio may collect some personal information about you. if it is proved that the goods have not been delivered. Also in case of cancellation or suspension of your account, damage, destruction or loss of your Products, refunds will not be applicable. You agree to pay for all products you purchase through this service, and that Recisio may charge your credit card or other payment system integrated on the Website for any products purchased, and for any additional amounts (including any taxes) as may be accrued by or in connection with your account. You are responsible for providing Recisio with valid credit card information or information for other payment systems presented on the Website for payment of all fees. During the ordering process and until payment, you can cancel or modify your order. The payment is done online after the validation of the order either directly by credit card or by PayPal. With the condition of making the request by mail, the payment could also be done by bank transfer. We invite you to contact us at support@recisio.com . Recisio has the right to change prices and availability of any product at any time. Electronic signatures and contracts.Your use of the service includes the ability to enter into agreements and/or to make purchases electronically. You acknowledge that your electronic submissions constitute your agreement and intent to be bound by and to pay for such agreements and purchases. Your agreement and intent to be bound by electronic submissions applies to all records relating to all transactions you enter into on the Website, including notices of cancellation, policies, contracts, and applications. The Website supplies tracks which are downloadable in file format. Use your personal login and password to access the download area. The download link is valid until the download is recorded and finished and will remain for at least 48 hours from the time of the first complete download. Customers who fail to download purchases within this time period will be required to re-order at the prices set out in our current price list. Recisio recommends Windows XP or higher, Internet Explorer 6+, or Mozilla Firefox to download purchases and cannot offer support for any other platforms or third party software. Recisio may inactivate, without notice or allowance, your account in case of violation by you of these general conditions, of nonpayment by you of the due sums or other acts against Recisio's interests. In addition, if you wish to cancel your account, please transmit your request to Customer Service Karaoke Version - Recisio 74 rue des Arts - 59000 Lille - France or by email at support@recisio.com. Use of the Website is at your own risk. The content and service is provided on an "as is" basis. Recisio offers no warranty of any kind, express or implied. Recisio does not warrant that any content on this Website is accurate, that this Website will be available at any particular time, or that any errors will be corrected. Recisio cannot be liable for the access speed of the Website from other websites, the access speed in Website pages openning or consultation, downloading or recording speed, external slowdown, suspension or inaccessibility of its services. In addition, Recisio cannot be liable in any case for the lack of protection of your technical equipment, in particular against any form of contamination by viruses and/or intrusion attempts which are under your responsability. Installation, use and maintenance of your technical equipment in order to access the Website are under your responsability. In any case Recisio cannot be liable for the incompatibility of the Website or malfunctions with some of your software, configurations, operating system or equipment. Recisio does not control the content of the internet outside of its Website. We may provide links to other sites which are beyond our control. Inclusion of a link is not an endorsement or recommendation of the site. You acknowledge that Recisio is not responsible for the content of third party sites and understand that we make no claims as to the quality or legality of any such site and hereby waive any claim you might have in regard to such. Recisio reserves the right to change, modify or discontinue any or all content and/or services of the Website with or without notice and without liability to you or any other parties.